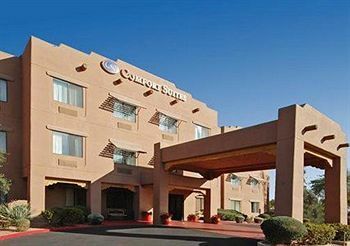 Comfort Suites-Scottsdale is located in the heart of Scottsdale just a short distance from the airport and less than a mile from two public golf courses. They offer several amenities, such as an indoor pool and spa tub, fitness facility, free wireless high speed internet, free breakfast buffet, dry cleaning and laundry services. They offer room service and 24 hour front desk. 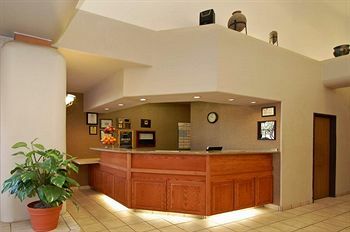 At the Comfort Suites-Scottsdale you can stay connected with the free wireless high speed internet access in both the public areas as well as the guest rooms. If you need to get some work done on your visit they have a business center available for just that. When done you can relax in the indoor swimming pool or spa tub. If you need to get in a quick work out they have a fitness facility at your disposal. 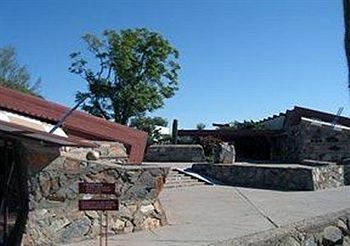 A complimentary newspaper, a fireplace and television are located in the lobby as well. The hotel has sixty guest rooms arranged on three floors. All the guest rooms are equipped with air conditioning, a microwave oven, a refrigerator and blackout curtains. They also include a coffee/tea maker, a hair dryer and complimentary toiletries. 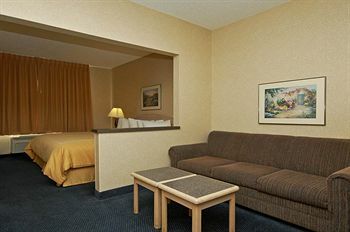 The room includes a television equipped with cable channels and pay movies. If you need to you can request extra towels and bedding, a roll away bed and a wake up call. They offer housekeeping daily. Comfort Suites-Scottsdale is located less than a mile from the Scottsdale Stadium, The Scottsdale Historical Museum, Scottsdale Museum of Contemporary Art, Scottsdale Center for Performing Arts, Scottsdale Village Shopping Center, East gate Shopping Center, the dog park, as well as several restaurants and bars.